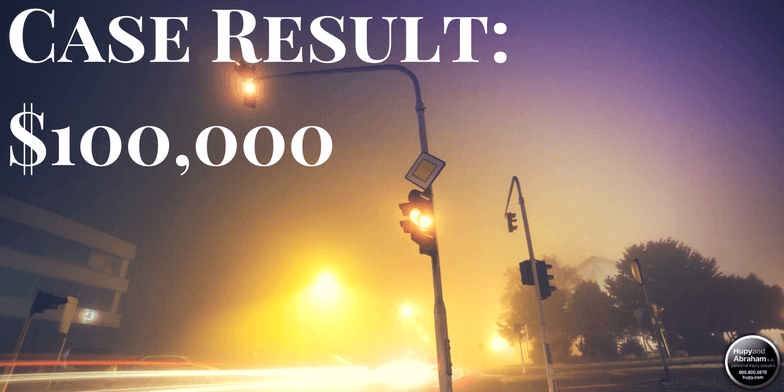 Hupy and Abraham Turns $10,000 into $100,000 | Hupy and Abraham, S.C.
Our client was traveling north on 27th Street in Milwaukee, Wisconsin on a dark autumn night. The light was green and our client was traveling past Vliet Street when an oncoming driver attempted a left turn in front of him, causing an accident. Our client suffered shoulder and back injuries, but the insurance company disputed that the injuries were sustained in the accident. Their offer was $10,000. Attorney Todd Korb litigated the case and recovered the $25,000 policy limit from the defendant's insurance and the $75,000 policy limit from our client's. The $100,000 settlement was ten times the original offer.